The most-attended public art event on the planet draws new and unique sponsor activations that will authentically engage 400,000+ visitors this fall in Grand Rapids, Michigan. GRAND RAPIDS, Michigan (August 29, 2016) – ArtPrize, the radically open international art competition decided equally by public vote and expert jury, today announced the Official Sponsors of ArtPrize—many activating in highly creative ways to connect with the hundreds of thousands of visitors that will attend the eighth annual event this fall. Brands including Honda, Edward Jones, X-Rite Pantone, Sprint, Herman Miller, and others will harness the unique ArtPrize platform by integrating experiential activations that will not only amplify their brands but also increase awareness for key ArtPrize programs and events. ArtPrize Eight is slated to take place in downtown Grand Rapids, Michigan from September 21–October 9, 2016, and has been singled out by the Art Newspaper for the second year in a row as the most attended public art event on the planet. Edward Jones signs on for their sixth year of sponsorship, this year as the presenting sponsor of ArtPrize Preview Week—offering free and early access and hospitality before the crowds descend upon the ArtPrize district for the 19-day event. From September 14–20, Edward Jones financial advisors will host tours, speaking events, and receptions for their clients and other associates to tap into the energy and anticipation of the ArtPrize event. 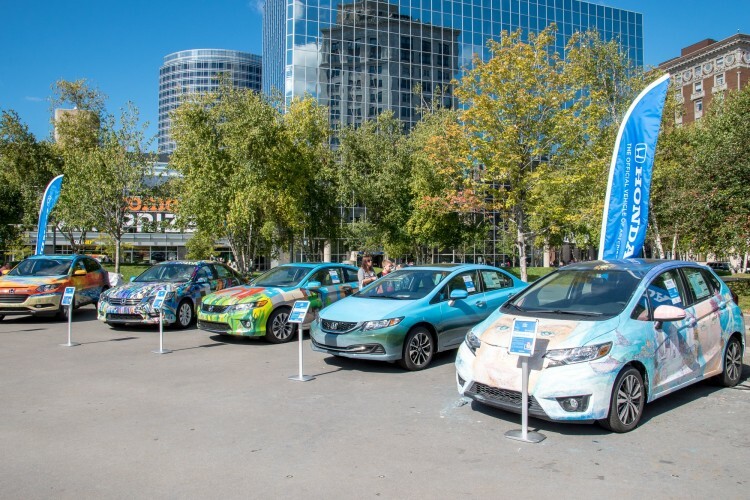 Honda returns as the Official Vehicle of ArtPrize for the second consecutive year. By aligning their approach to the competitive elements of ArtPrize, the West Michigan Honda Dealers are creating their own call-to-action in the form of the "Design & Drive Art Contest," culminating in a showcase of six striking artist-created, vinyl-wrapped Honda vehicles in the heart of the ArtPrize district. The public will be able to interact and view the artists creating their work on 2016 Honda models and vote for your their favorite through the sponsor’s Facebook page. During the first week of ArtPrize Eight, Sprint will amplify the ArtPrize mobile app and public voting experience, while also displaying their products and services, through a mobile activation experience -- a Sprint store on wheels. In the heart of the ArtPrize district, Sprint will create a high-tech, open air cafe-style pop-up lounge where visitors will be able to relax, unwind, and recharge—both themselves and their mobile devices. 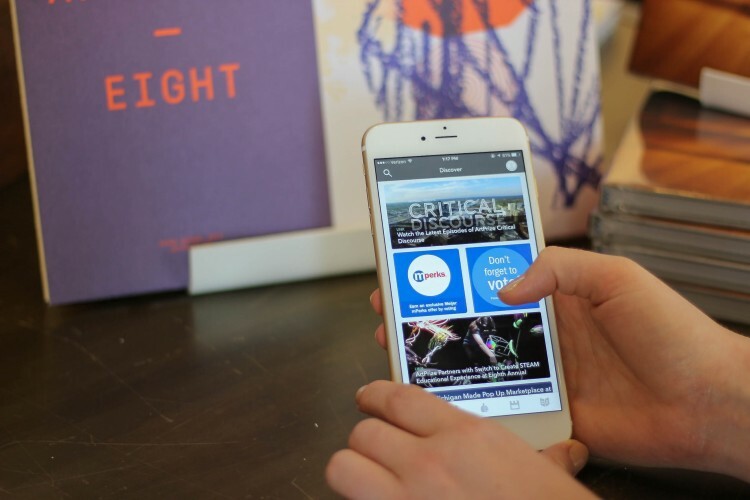 Sprint ambassadors will be on hand to help visitors get the most out of the ArtPrize mobile app as well as capture visitor selfies that will be instantly posted to monitors in the mobile store. 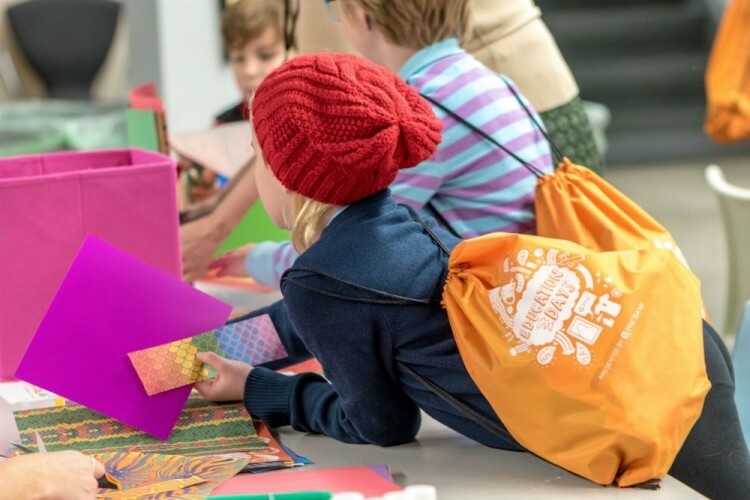 The ArtPrize Labs Mobile Studio, presented by Herman Miller Cares, will be a whimsical studio on wheels, encouraging ArtPrize visitors of all ages to explore their creativity and tap into their inspiration as they explore the event exhibitions. The bike will be custom-outfitted to unfold into a creation station complete with a wealth of art supplies. A new sponsor to ArtPrize, Switch, will bring an interactive STEAM educational experience to the eighth annual competition. For the duration of the 19-day event, the STEAM Village powered by Switch will transform the ArtPrize HUB/HQ soundstage into a learning lab, offering immersive technology applications and hands-on learning stations for thousands of students, families and ArtPrize visitors this fall. The STEAM Village will include experiential stations featuring Switch-funded Planet3 and Code.org software demonstrations, a virtual reality painting experience, Tilt Brush, and hands-on tinkering stations—all designed to educate visitors around the importance of technology and the arts in educational programming. 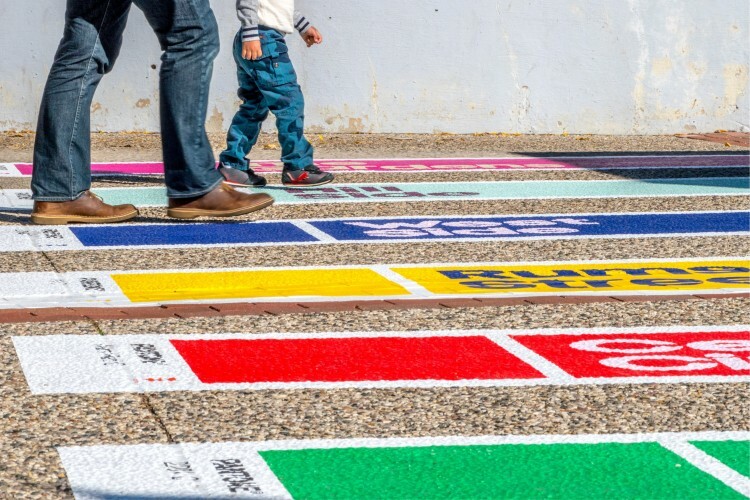 The color experts at X-Rite Pantone will once again employ the ArtPrize Pathways as their palette for the second year in a row, guiding visitors through the event past 90% of all ArtPrize Venues and encouraging them to step outside of their comfort zones. New for 2016, X-Rite Pantone will provide ArtPrize Eight visitors with the opportunity to show the world how they see ArtPrize. Thousands of personal “Pantone Chip” inspired viewfinders will be shared with visitors across the event district, each encouraging visitors to tag their personal capture to the hashtag #ColorYourPath. A panel of X-Rite Pantone endorsed jurors will choose the top three photo posts, each winner receiving exclusive Pantone merchandise. Ferris Coffee & Nut—a family-owned and -operated company dedicated to making the craft of great coffee approachable to the communities it serves—employed the ArtPrize Eight themes of juxtaposition and contrast when developing the signature flavor profiles in the Official Coffee of ArtPrize. One single-source Ethiopian coffee bean roasted two ways will bring out sharp contrasts in flavor—the light roast bringing floral notes, and the darker featuring characteristics of dark chocolate. Additionally, Ferris Coffee will host its highly-anticipated Latte Art Throwdown on September 29, during the second week of ArtPrize Eight, coinciding with National Coffee Day. The no-holds-barred competition will give latte art connoisseurs the opportunity to contend for the inaugural winning title. 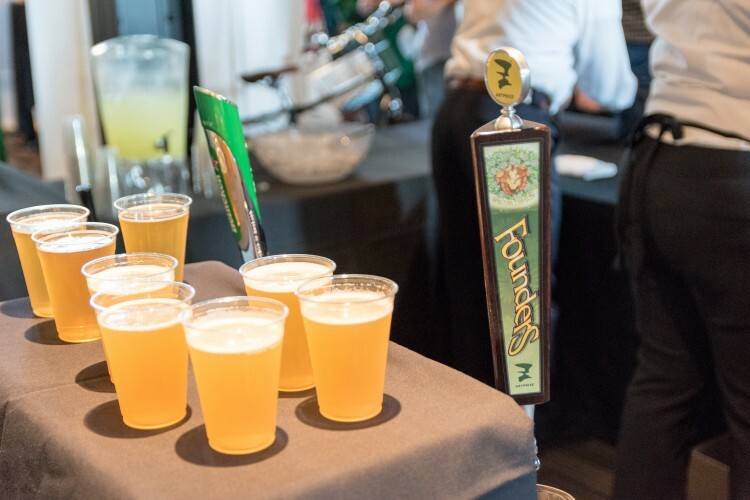 Founders Brewing Co. returns as the Official Beer of ArtPrize, crafting another unique annual ArtPrize brew that will surprise and delight visitors and beer enthusiasts alike. Pale Joe—a pale ale infused with lightly roasted, fruit-forward coffee—is the fourth ArtPrize beer that Founders has crafted, following in the footsteps of Inspired Artist Black IPA in 2013, Mosaic Promise in 2014, and Spectra Trifecta in 2015. PNC Bank, the presenting sponsor of ArtPrize Education Days since 2010, will collaborate with ArtPrize to engage over 16,000 K–12 students from 150 school across Michigan in dynamic programming and activities at the eighth annual event. In collaboration with PNC Bank, ArtPrize will execute a social media campaign that will feature photo posts of a “Pig E. Banks Junior” pig character found in fun and creative settings prior to the event tagged with hashtag #PigEBanks, all designed to create awareness and excitement for the program targeted towards students, educators, and families. Wolverine Worldwide will create a unique shopping experience at the 2016 ArtPrize Clubhouse. Through a pop-up shop and hospitality collaboration, the company will set the stage with intricate concept imagery and artful product placement. 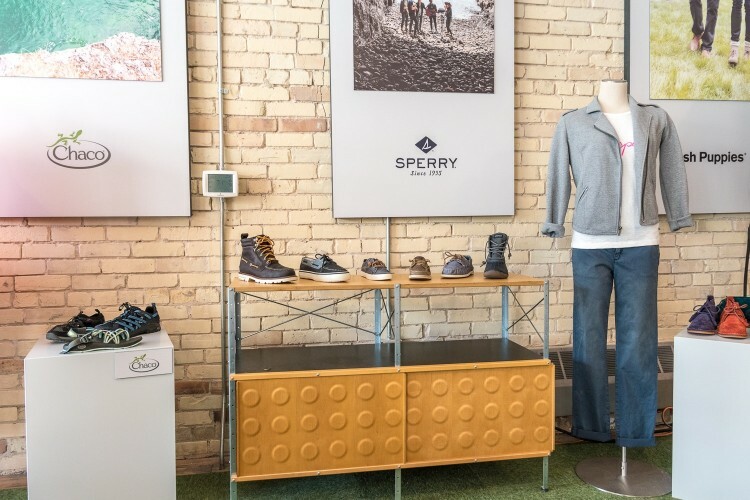 Guest will be able to shop the company’s family of brands including Merrell, Sperry, Hush Puppies, Saucony, Cat Footwear, Wolverine, Keds, Stride Rite, Harley-Davidson Footwear, Sebago, Chaco, and Bates. Product discounts will be available to consumers at the pop-up shop throughout ArtPrize. The DTE Energy Foundation joins ArtPrize this year as the presenting sponsor of the ArtPrize Awards Ceremony. 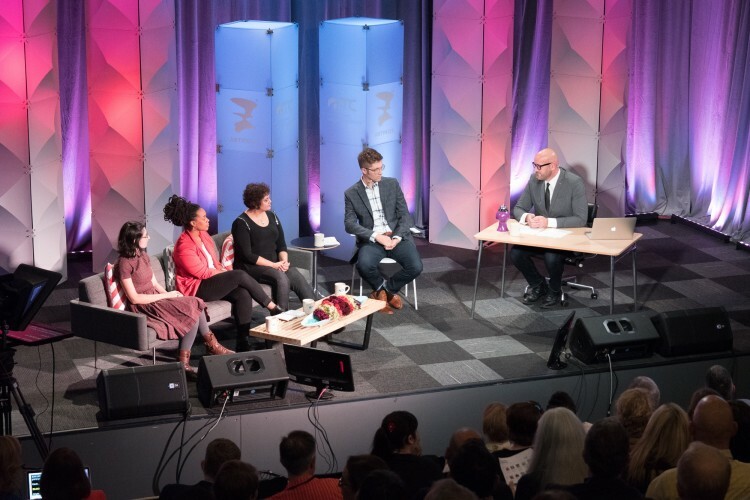 The Eighth Annual ArtPrize Awards Ceremony will be broadcast live on NBC affiliate WOOD TV8, honoring the ArtPrize Eight public vote and juried winners, ultimately awarding $500,000 in cash prizes for contemporary art with visibility to 300,000+ viewing households. A Grammy-style show complete with an opening and closing number along with a live house band will celebrate the overwhelming community support of the arts that is so important to both ArtPrize and the DTE Energy Foundation. The televised event will take place on October 9, 2016 at 7:45pm EST. A founding sponsor of ArtPrize, Meijer returns as the presenting sponsor of the ArtPrize Public Vote. Meijer will activate their mPerks customer rewards program, rewarding event visitors for each vote cast through the ArtPrize mobile app platform. Meijer is also offering an ArtPrize Eight signature tote bag to the first 20,000 visitor registrants that includes key visitor materials such as the Official Event Guide and Map. ArtPrize Eight will take place in downtown Grand Rapids from September 21–October 9, 2016, when everyone is invited to voice their opinions on contemporary art and select the winners of $500,000 in cash prizes.